Rice has always been my favorite. I prefer having rice in my main meals over having bread. 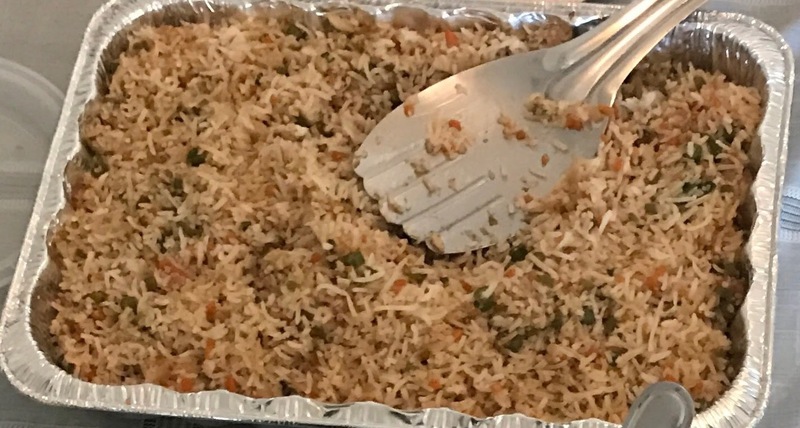 I always liked Chinese fried rice specially the one an aunt of mine prepared. I usually prepare it for my hubby’s lunch box on Monday as it’s like one pot meal and filling. 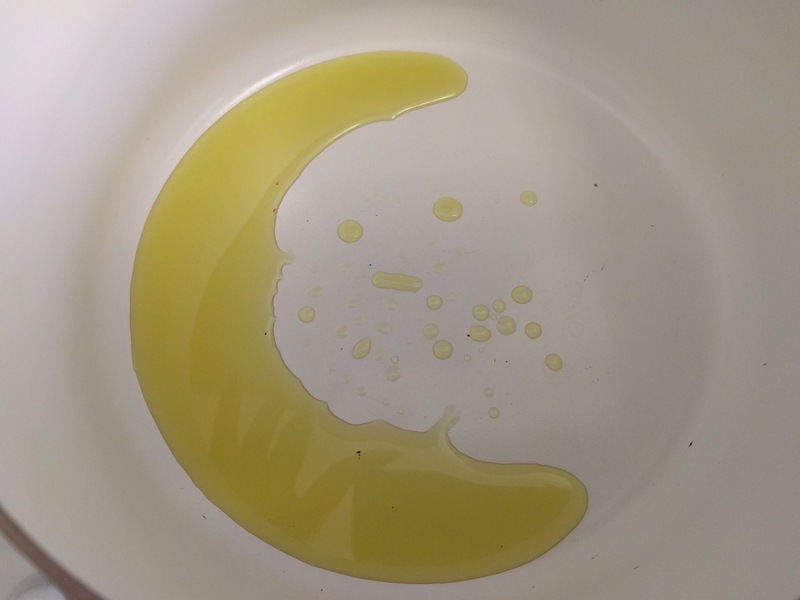 In a wok, heat oil. All cooking needs to be done on high flame. Sauté the garlic till brown. 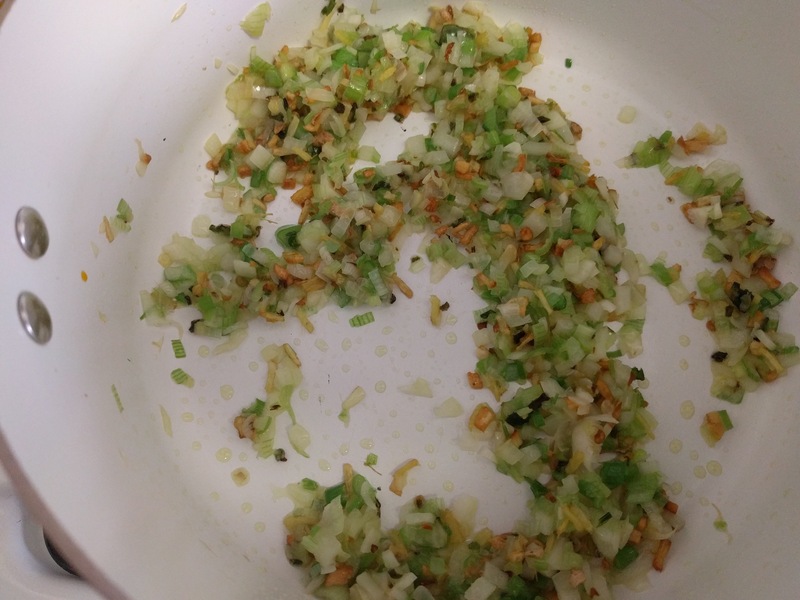 Then sauté the onion till transparent. Add little salt as it aids in faster cooking. 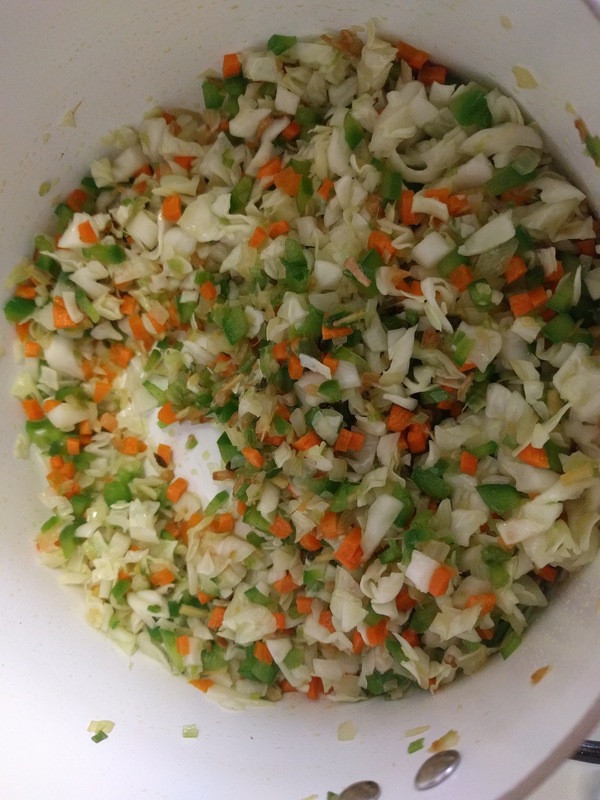 Then add the other veggies – French beans, carrot, capsicum and cabbage. Sauté well for few minutes. Now add the five spice powder, soya sauce, vinegar and salt as per taste. 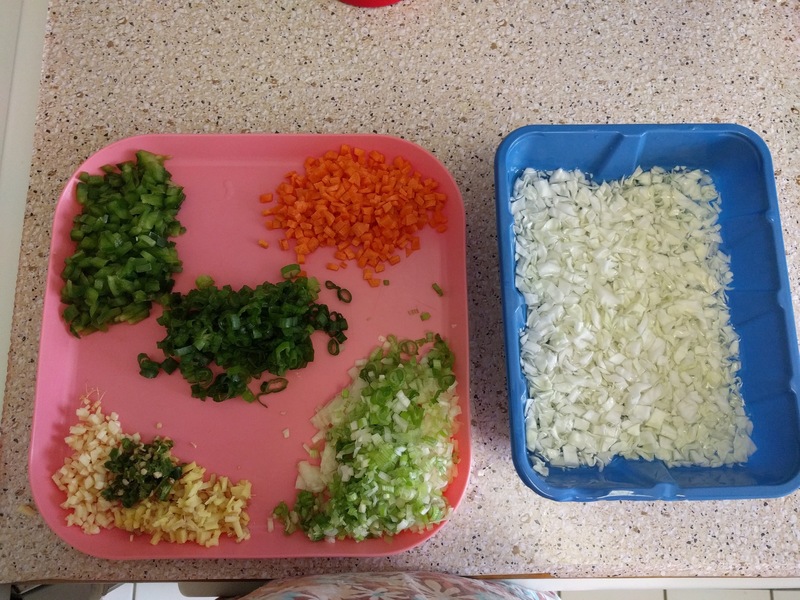 Also add the cooked rice, spring onion greens and toss well till all is mixed well. 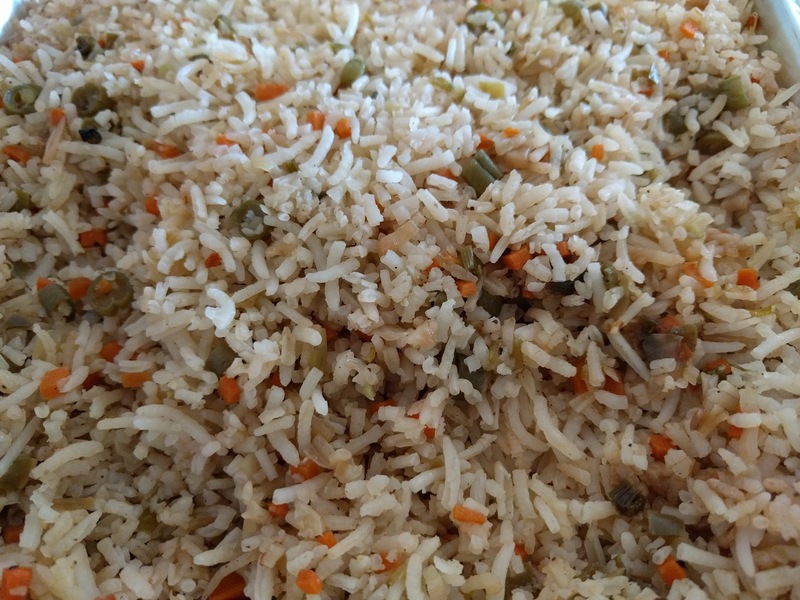 Veg fried rice is ready to be served hot. 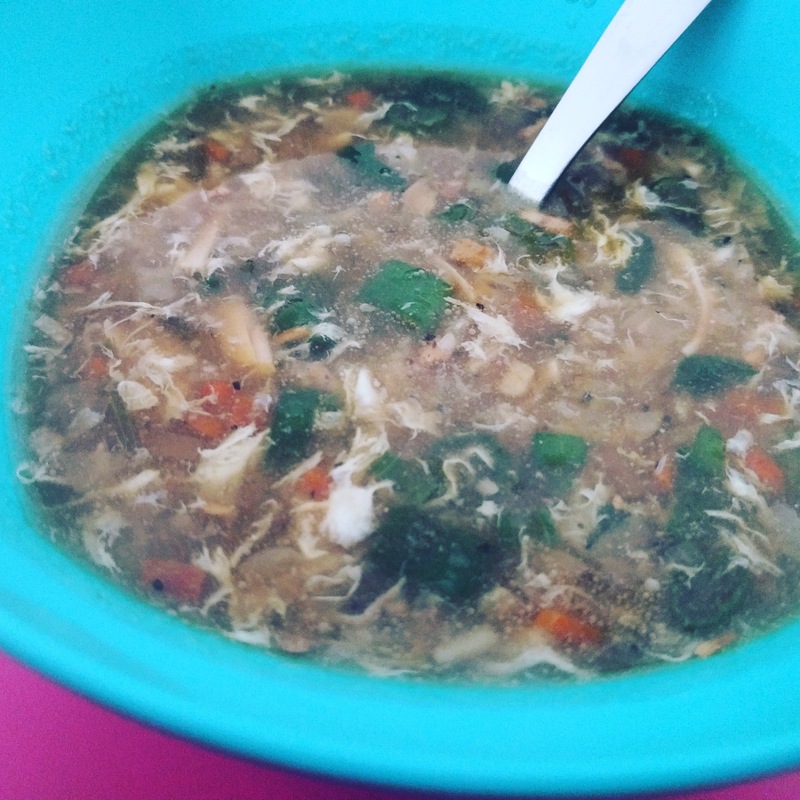 This soup is actually my husband’s speciality and was taught to me by him. He had taken reference from some online site and prepared specially for me. It is very simply and looks and tastes very much similar to restaurant type. Hope you like it and enjoy too!! Take as much water as the amount of soup you required. Add pepper powder and salt as per taste. 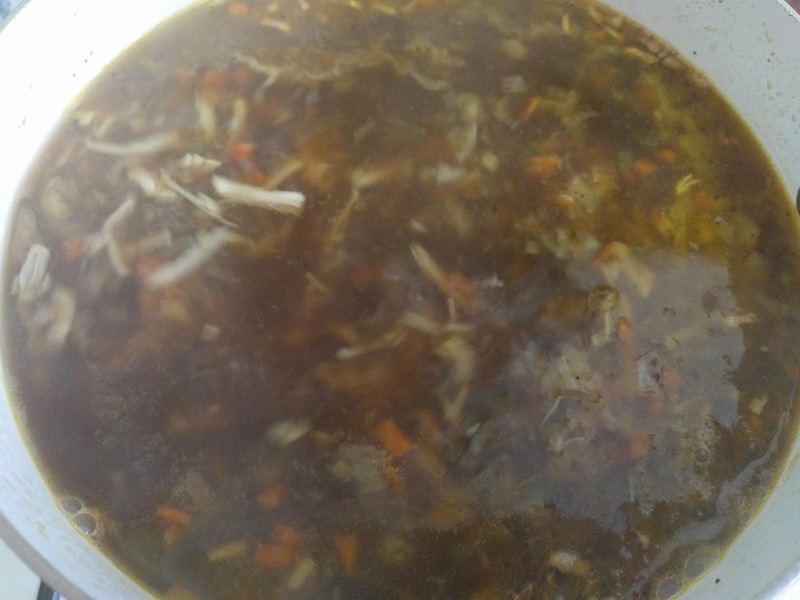 Boil the chicken pieces in this water. While boiling, you will find a layer of froth formation. Remove that layer with a spoon. 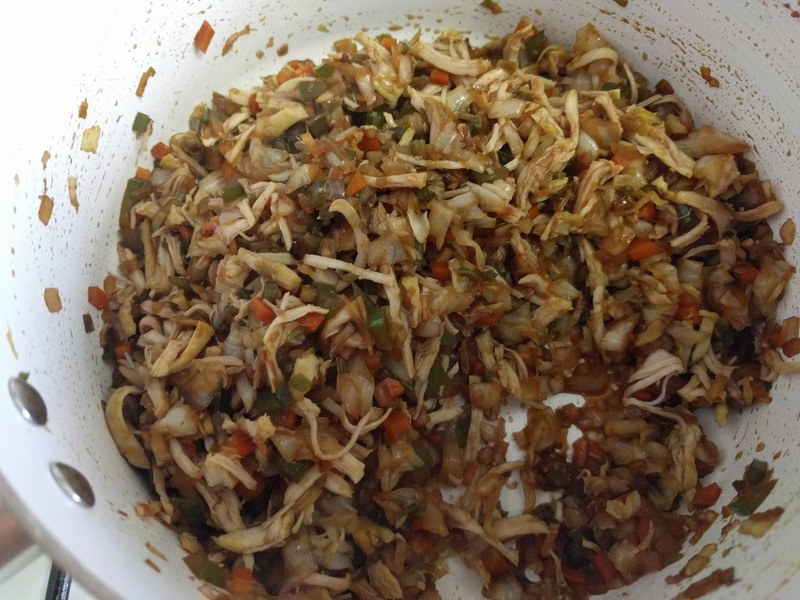 Once the chicken pieces are cooked, put off the gas and remove the pieces and allow to cool. Retain the water that was used for boiling the chicken. This is the chicken stalk. 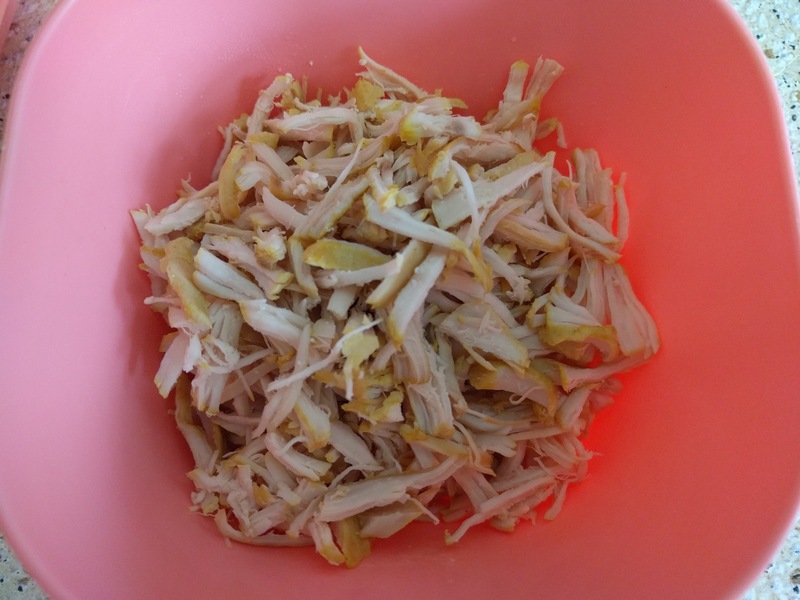 Once the chicken pieces are cooled, shred them. 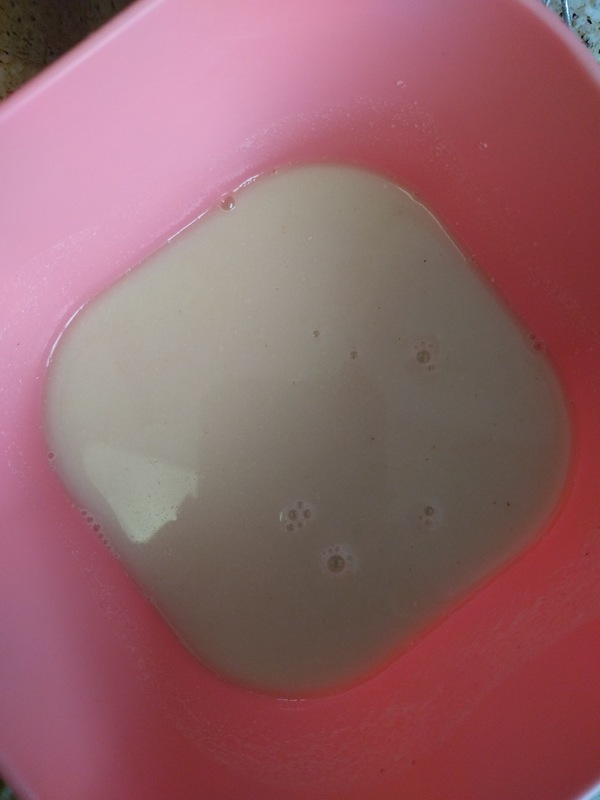 Add as much water to the cornflour as thick or thin you require the soup to be. 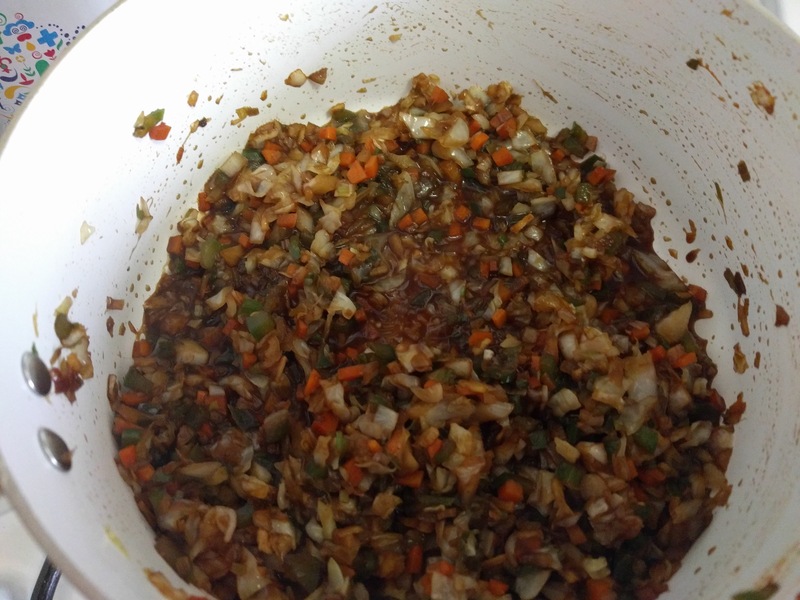 Mix it well so that no lumps are formed. Heat the chicken stalk. To it add the chicken pieces. 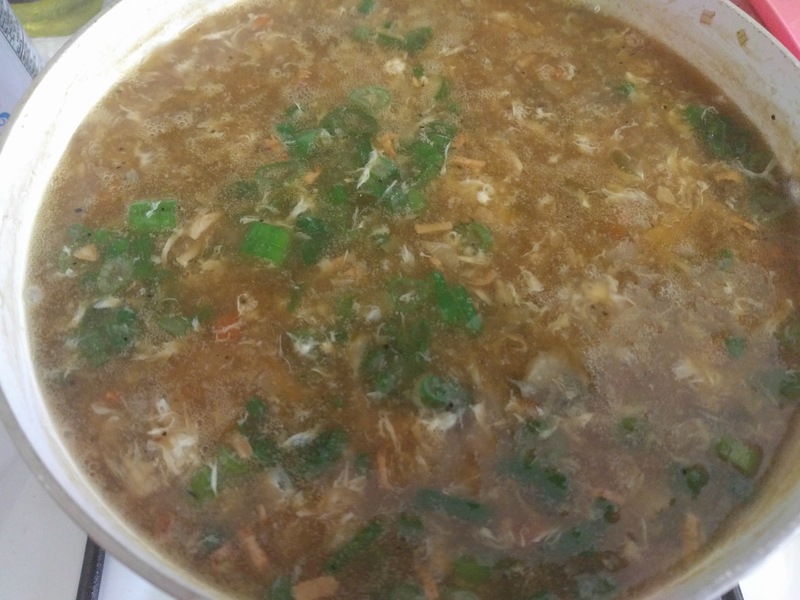 Once the soup comes to a slight boil, add the cornflour mixture to it while stirring continuously so that there is no lump formation. The soup will begin to thicken once you add the cornflour. Take an egg and beat it a little. Pour this into the soup while stirring vigorously. You will find fine strings being formed. 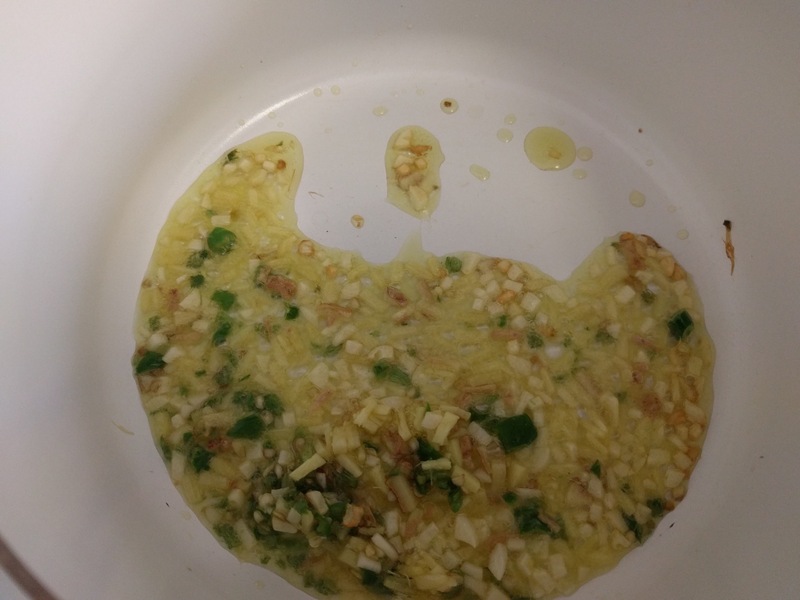 The egg gets cooked in the heat of soup. Put off the gas and garnish with spring onion greens. In another little pan, heat the olive oil. It should be slightly boiling hot. Pour this cautiously into the soup. 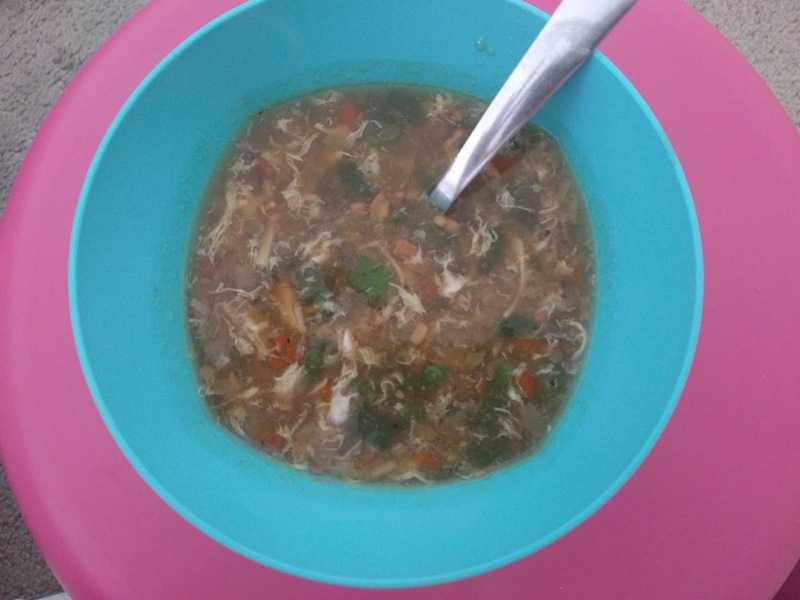 Chicken clear soup is now ready. 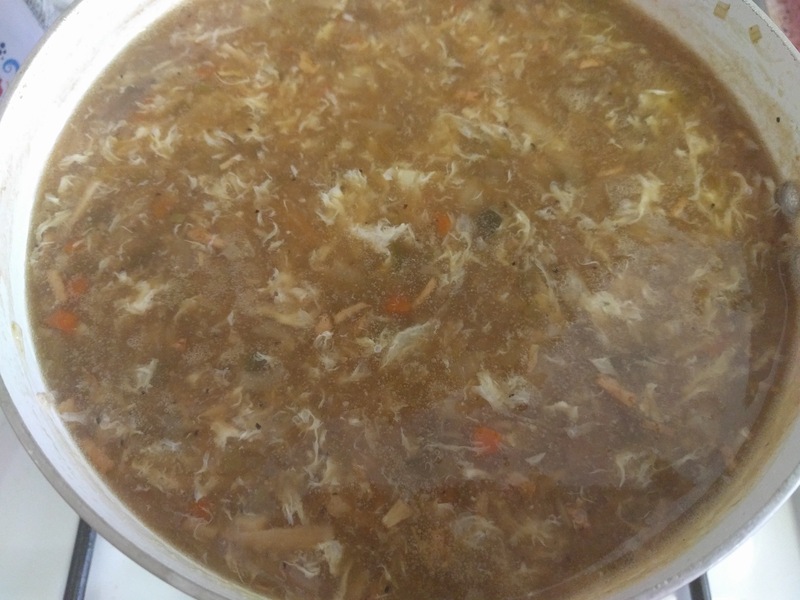 Note : Remember not to boil the soup too much as this will thicken the soup more once you have added the cornflour mixture.